I was awakened by my daughter for help while staying at a cabin out-of-state. I enjoyed my dream so much that I reluctantly got out of bed. However, as a 24/7 caregiver, duty was calling during the middle of the night. Getting back to my dream, I dreamed I walked right into heaven! I was so happy. My surroundings were lit up to a brightness I hadn’t seen before, but it was not a blinding bright where you would need to shield your eyes. It was quite beautiful. 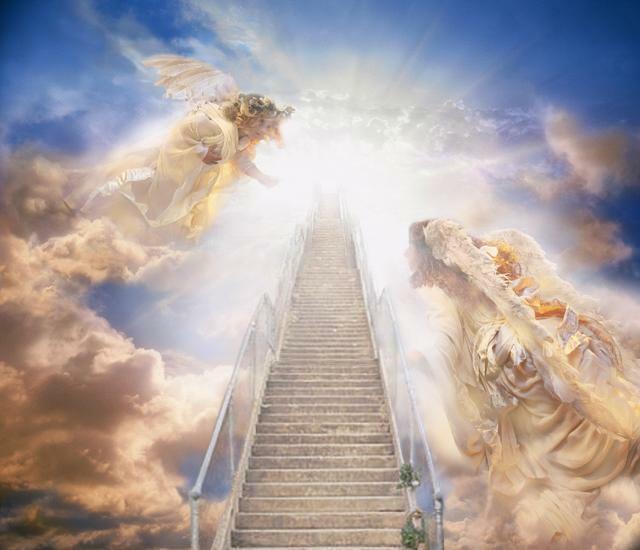 After helping my daughter, I returned to bed and thought about this especially happy dream of walking right into heaven. If this dream were to become true, that would mean I would be going to go home soon. Was I wishful-dreaming? In the evening the next day, I attended special services at a quaint country church. During the beginning of the service, a young lady about thirty years of age stood up to ask for prayer and give her testimony. Her Grandmother had died the night before and she told the congregation how glad she was that her Granny had accepted the Lord recently and that she believed she had gone home to heaven. After hearing what she said, the light went on in my head. The dream wasn’t about me walking into heaven, but was about her Granny walking into heaven and how very happy she was. I immediately rose to testify about the dream I had the night before, which was the night her Granny died. What a blessing it was for the grieving Granddaughter to know by faith that her Granny was saved through the Grace of Jesus Christ, and to hear it confirmed through this prophetic dream. Jesus life-sustaining blood was shed for all the world to redeem us from eternal death. Those who receive His sacrifice by faith are given the free gift of eternal life. I am glad to have the hope and promise of Eternal Life because Jesus took my place of punishment and died on the cross for my sins. Thank you Jesus for loving me so much that you would suffer and die for me. And thank you Heavenly Father for your great Love and for sending your only Son to redeem the world.